Happy St. Patrick's Day Friends! Do you have your green clothes ready to wear? As I was laying out clothes for the boys for today I realized that the green in my closet is very lacking, I'm going to need to fix that. I actually had a completely different post all set and ready to go but then for some reason my pictures wouldn't load correctly. I'm having so many issues with blogger lately it's making me crazy! - We started a diet on March 5th and it was all going well until this past weekend. We got off track with two parties we went to and I'm having the hardest time getting back into the swing of it. - I'm on the hunt for a new concealer which I mentioned on Snapchat. I've gotten some awesome recommendations so I'm going to hit the mall this weekend and see what I can find. - I've been taking the boys to the park as much as I can since it's warming up outside. It has been so nice to let them burn energy but the best part is that Matthew keeps falling asleep on the swing. It's so hysterical. Well that's all I've got for today friends! Maybe if I can get my other post to load today I will put it up later. Is it bad that I have nothing green for Camden to wear today?? I looked in his closet this morning and I realize I only buy him blue, grey, red and striped clothing lol. #momfail I love your hair inspiration photos! 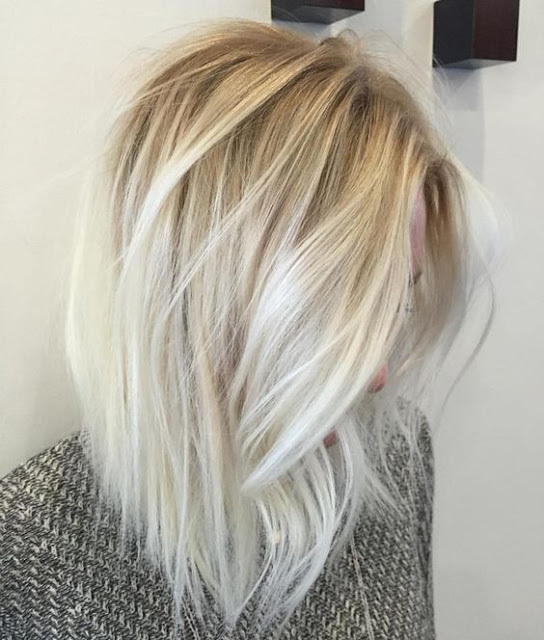 I'm all about the bright blonde in the spring and summer! I have been using the Origins ginzing moisturizer and it is amazing! I love Cetaphil moisturizer! It doesn't break me out, but leaves my skin so dewy! Can't wait to see you new 'do! Nothing like fresh highlights to make a lady feel good! Hasn't the weather been amazing?! I can't wait til it's like this all the time. Might I recommend Olay Total Effects Featherweight Moisturizer? :) I've tried a couple of others and actually threw out the last bottle I tried after a week and went back to this one. It's light, moisturizing, has some anti-aging goodness (not that you need it), and sunscreen. I've been so sporadic about my healthy eating lately, I need to get back on track and stay there haha. Aw I love the picture of Matthew. I can't wait to see how your hair turns out, I like the first picture best! Love Matthew asleep in the swing, he's so cute!! Try Beauty Counter's day cream! I don't sell their stuff but I LOVE IT SO MUCH!